of Back Country Horsemen of Oregon today! 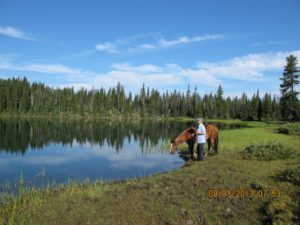 Back Country Horsemen of Oregon is a nonprofit organization focused exclusively on ensuring public lands throughout Oregon remain accessible to equestrians. Through our principals we advocate for private recreational pack and saddle stock use of all public lands and the stewardship of those lands. The Back Country Horsemen of America is the only national organization that promotes the use of private recreational pack and saddle stock use on our public lands in which we are a part of. Your membership along with your help make it possible to fund and perform projects in support of our mission and principals. 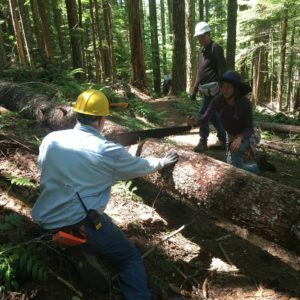 These activities foster opportunities for every equestrian, they build credible relationships with local, regional and national federal state and city forest partners and provide lasting bonds with family, friends and our public lands. So help us by becoming a BCHO member. Our members have fun, but also work hard to maintain access to public lands and encourage wise use of back country resources through education. Our individual chapters help make our principals a reality by organizing, the Annual Horse Packing and Wilderness Skills Clinic in Klamath Falls, OR, work parties, sharing information, and providing the personal contact that makes BCHO rewarding and a whole lot of fun! Ready to join us and be part of Oregon’s advocate for private recreational pack and saddle stock use of all public lands? See our membership form, we have affordable membership choices for individuals, families, or groups. If you don’t have time to spare now to get directly involved, please consider your membership as a donation to our cause, we are all volunteers working to better equestrian riding opportunities. Please choose the best online option for your Membership. Click on one of the buttons above to join online or if you wish to mail in your membership with a check, open our registration form, print it, and send it to us along with a check for your dues. Click here to print the Membership form. If your are just wanting to update your membership information click on the update membership info button. Your chapter membership entitles you to membership in both Back Country Horsemen of Oregon and Back Country Horsemen of America. 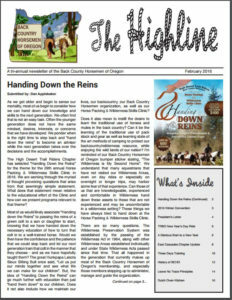 Members receive the Back Country Horsemen of Oregon (BCHO) Newsletter, The Highline. The Highline includes articles on what our state BCHO directors and different chapters are up to and some great back country places to camp and ride. Members also receive the Back Country Horsemen of America (BCHA) National Newsletter published quarterly. The newsletter contains information regarding the activities of the National Board of Directors and the committee chairs (Education, Public Liaison, Wilderness, and Media Communications) along with news from the Twenty Five states represented in BCHA. This Newsletter is also distributed to public lands managers, legislators, and other organizations in addition to members. Please consider becoming a BCH member. Our many fun activities also help create opportunities for every equestrian to get involved. As a member, you can meet new equestrian friends, help us build credible relationships with local and regional federal state and city forest partners, be informed on news that impacts our equestrian access to public lands and help on a work party now and then. There is fun for everyone.